We recognize that supporting people in our communities that may not traditionally access education and work is an important part to achieving this mission. Humber does this by working in partnership with schools, community agencies and government to offer a broad range of programs and services to assist youth, aboriginal peoples, newcomers, unemployed individuals and others enter postsecondary education, apprenticeships and meaningful work opportunities. As one of Ontario's most respected and comprehensive applied technology schools, we offer programs in these key areas: design, engineering technologies, sustainable energy, apprenticeship and skilled trades, and graduate studies. Credentials you can earn include four-year bachelor degrees, two- and three-year diplomas, certificates and apprenticeships. Offering over 25 programs in more than a dozen fields ensures a comprehensive business education. Programs range from marketing, accounting, human resources, international business, law or even fashion and spa management. Most four-year degrees offer common business practices for the first two years and specialization in the last two years. Home to internationally acclaimed diploma and degree programs in comedy, music, publishing, theatre and writing, students are provided opportunities to perform and complete job placements. We offer studios, stages and labs, award-winning faculty, and an unbeatable combination of theory and practice. Preparing students for meaningful careers in the health-care field since 1967, Humber meets the ongoing demands of the contemporary health-care environment. Degrees, diplomas and certificates in programs such as nursing, early childhood education, paramedic, occupational therapy assistant, pharmacy technician, or funeral services provide graduates with opportunities in most health-care settings. State-of-the-art facilities, innovative programming, expert faculty and extensive industry partnerships make this one of the leading award-winning schools for the education of culinary, hospitality, tourism, and fitness and recreation professionals. Instruction is led by expert faculty, who work closely with industry and professional associations to ensure graduates are sought-after employees. All of our programs offer work placement experiences. Humber is the only college in Ontario with interdisciplinary liberal arts and science programs to ensure a solid academic foundation for all students. Most degree, diploma or certificate programs include social sciences, humanities and science electives, as well as communications and math courses. 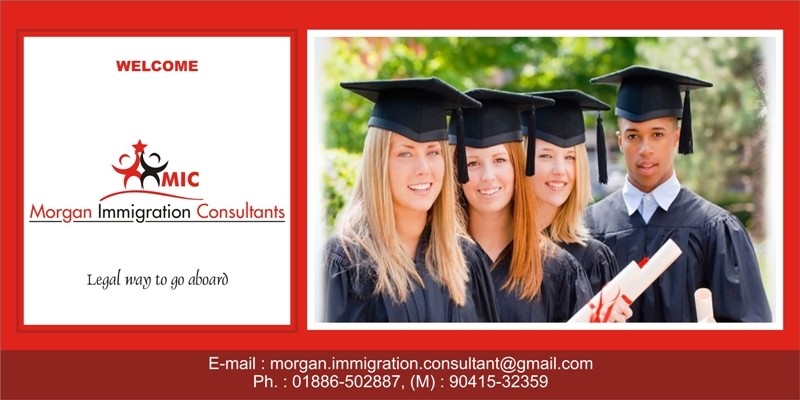 ESL, college, science and technology, and university preparation are also offered. The School of Media Studies & Information Technology has the largest combination of media-sector programs in Canada providing training in public relations, journalism, advertising, graphic design, digital arts, 3D animation, film and television production, and web-based media and information technology. Credentials range from degrees, diplomas and certificates to postgraduate certificates. Learn the leading-edge skills needed to make a difference in society, whether as a criminal justice professional, a child and youth worker, a social services worker, or in community and justice services, developmental services, public or private policing, or fire services. Field placements provide comprehensive real-world learning opportunities in a broad range of community agencies and organizations. College Fees For humber college:from CAD $10000 to CAD $ 14000 depending upon the course enrollment.